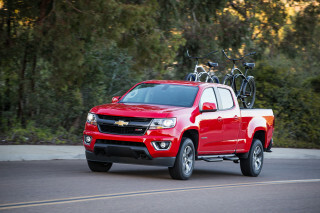 Pickup buyers have two new choices now that Ford and Jeep are back in the mid-size truck market. The 2020 Jeep Gladiator and 2019 Ford Ranger go about hauling in distinctly different ways. The Jeep delivers tremendous off-road capability and rugged style at the expense of refinement. It’s also expensive, although open-top Jeeps tend to hold their values. The Ranger is a better value overall and it has a softer ride and easier handling for everyday use. We rate the 2019 Ranger at 5.8 out of 10, while the Gladiator checks in at 5.2. Underhood, the Ranger uses a 2.3-liter turbo-4 to belt out 270 horsepower. The turbocharged engine teams well to a 10-speed automatic transmission and either rear- or part-time four-wheel drive. 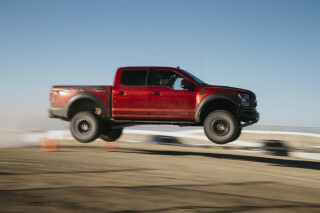 The Ranger’s acceleration is brisk—surprisingly so given the pickup truck’s heft. The turbo’s wail makes itself known inside the Ranger, especially in base XL and mid-level XLT trims that don’t have as much sound deadening as the range-topping Lariat. The Gladiator launched with a 3.6-liter V-6 rated at 285 hp. A turbodiesel will follow, but we haven’t driven it yet. The gas V-6 produces most of its power at higher engine speeds, which means it needs a lot of revving to feel as quick as the Ranger. The optional 8-speed automatic transmission is more than up to the task and we like it better than the standard 6-speed manual, but Jeep earns kudos for offering the choice. One decision buyers won’t be able to make is four-wheel drive; every Gladiator leaves the factory with a part-time system. The shapely Ranger is thriftier than the boxy Gladiator. The EPA rates four-wheel-drive Rangers at 22 mpg compared to just 19 mpg combined for the Gladiator. Both trucks have a separate ladder frame and a solid rear axle, but that’s where the similarities end underneath. The Ranger uses an independent front suspension that helps provide a good ride and sharper handling than the Gladiator, though its leaf-sprung rear axle can bob around with an empty bed. The Gladiator is mostly a Jeep Wrangler underneath, albeit one with a much longer wheelbase and a rear suspension that cribs some parts from the Ram 1500 pickup truck. The Gladiator uses coil springs and solid axles front and rear. It’s more planted than the Ranger with an empty bed thanks in part because it weighs about 300 pounds more, but the Jeep wanders on the highway and leans into corners on a winding road. Take pavement away and the Gladiator is the clear champ thanks to its beefy suspension and tremendous ground clearance. The Gladiator Rubicon—which starts at around $46,000—is the off-road victor with its arsenal of locking differentials, disconnecting sway bars, meaty 33-inch off-road tires, and ultra-low crawling gear. If serious four-wheeling’s your bag, you may as well stop reading and head to your Jeep dealer. The Ranger offers a locking rear differential as an option across the line, but even the FX4 package is more about show than go aside from its uprated shocks and light-duty all-terrain tires. Overall, the Ranger has a nicer interior than the Gladiator, but the Jeep puts up a good fight. The Gladiator’s design is more imaginative and its soft-touch plastics and painted trim are a breath of fresh air compared to the staid Ford. 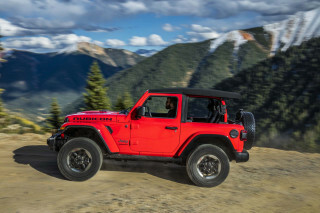 The Jeep’s removable top—a fabric top that folds back is standard and a composite hardtop composed of three individual panels is optional—provides endless head room, sunshine and, unfortunately, plenty of road noise. The Ranger has more usable leg room for drivers and front-seat passengers because its driveline tunnel doesn’t intrude as much. Its seats are also plusher and offer power adjustment, something not offered on the Gladiator. Rear-seat passengers will find a big step up to get into the Gladiator and narrow doors, but the back seat has nearly four inches more leg room than the crew-cab Ranger. Cargo won’t complain in either truck. The extended-cab Ranger comes with a 6.5-foot bed, while the crew cab is fitted with a 5-foot bed. The Gladiator comes only as crew cab with a 5-foot bed. The Ranger’s 5-foot bed can swallow about 43 cubic feet of gear, while the Jeep’s is rated for just 35.5 cubes due to its shorter bed walls. Bedliners and covers are optional extras on both trucks. In terms of value, it’s an easy win for the Ranger. Base, rear-drive trucks with an extended cab and a 6.5-foot bed cost about $25,400. Opt for the four-wheel-drive crew cab with its 5-foot bed to match the Gladiator and the Ranger’s price climbs to about $31,500. Standard fare includes power features, automatic emergency braking, and a basic AM/FM radio with Bluetooth and a 4.2-inch screen. Against all new cars, that’s not a great value. Against the 2020 Gladiator, it’s a steal. The base Gladiator Sport costs about $34,500 and it’s light on features. You’ll spend more for power windows and locks, remote keyless entry, active safety tech, and a hardtop to match the base Ranger. Both trucks tempt with lengthy options lists that easily inflate their base prices. We think a well-equipped Ranger for about $40,000 strikes a terrific balance between utility and usability. 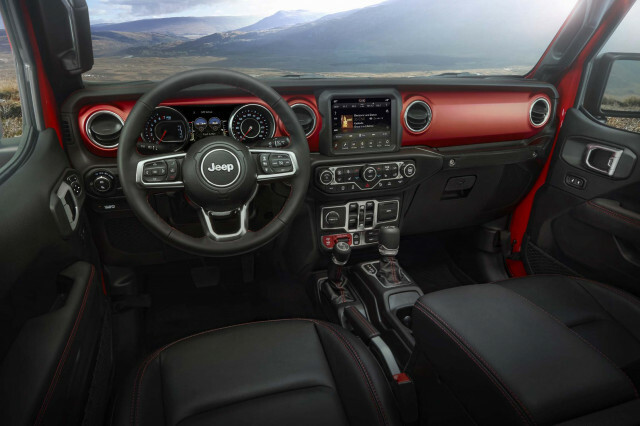 The Jeep’s swagger, capability, and open-top fun might win our hearts, though. The 2019 Ford Ranger isn’t a revival, it’s a comprehensive rethink. The 2020 Jeep Gladiator pairs everything we love and hate about the Wrangler with a useful pickup bed. The 2019 Ford Ranger has clean, but unimaginative lines. If you like the Wrangler’s looks, you’re probably on board with the 2020 Jeep Gladiator. The 2019 Ford Ranger packs big-pickup punch under its hood. The 2020 Jeep Gladiator excels off-road, but it comes up short on pavement. 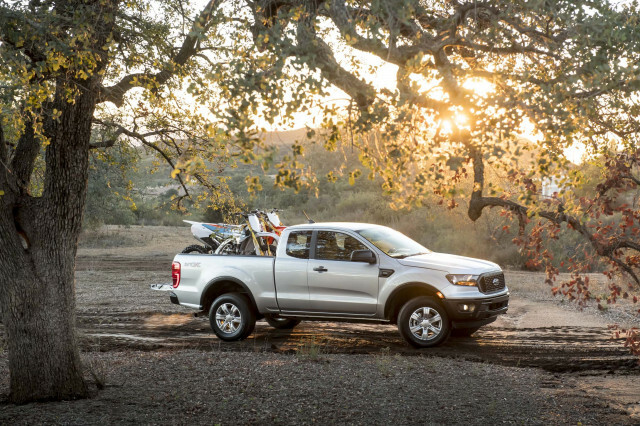 The 2019 Ford Ranger has more interior space than most mid-size pickup trucks. The 2020 Jeep Gladiator is spacious, but it’s a big step to climb aboard. The 2019 Ford Ranger hasn’t been crash tested yet, but all models come with good basic safety gear. 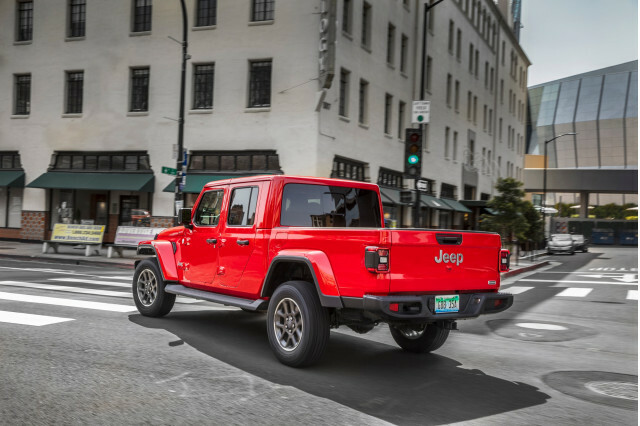 We’d like to see more active safety gear standard, but the 2020 Jeep Gladiator is par for the course. 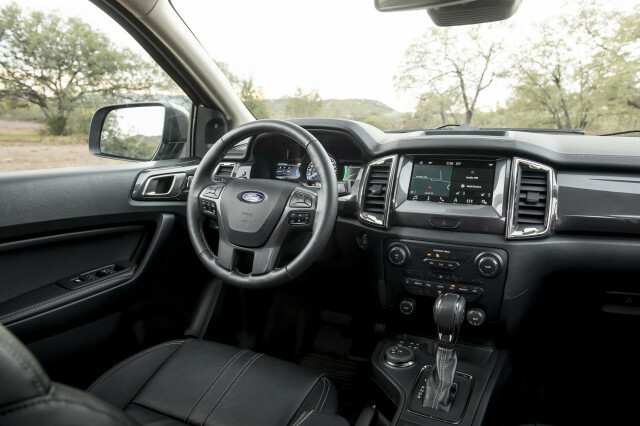 The 2019 Ford Ranger is available in more configurations than most rivals, but it’s light on standard infotainment tech. The 2020 Jeep Gladiator range stretches from basic to less basic. For a mid-size pickup truck, the 2019 Ford Ranger is a fuel-sipper. The 2020 Jeep Gladiator is rated at 19 mpg regardless of configuration. With competitive price quotes from multiple dealers, you will be prepared when you meet your local car dealer. Please tell us how to contact you so that dealers can compete for your business! There are no Ford dealers in our network that are located near the ZIP code. There are no Jeep dealers in our network that are located near the ZIP code. 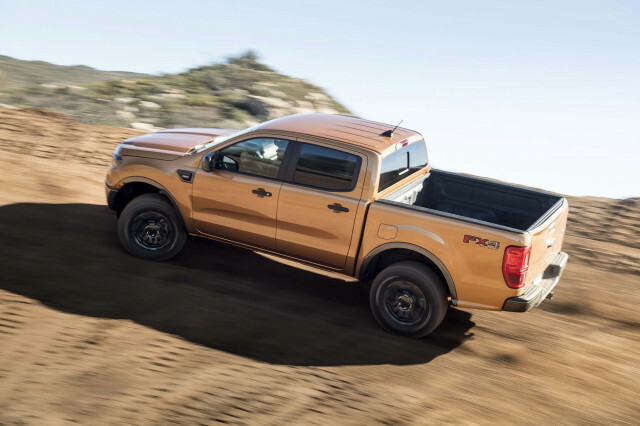 We have sent your request for price quotes on the 2019 Ford Ranger and 2020 Jeep Gladiator to the dealers you requested. They should be in touch shortly. The Car Connection's dealer quote process is powered by our partner site CarsDirect. 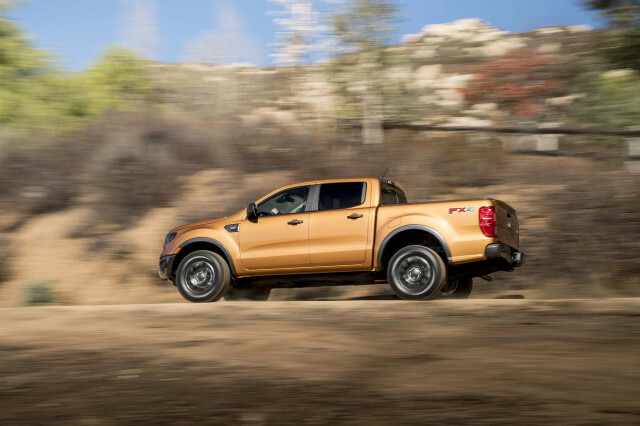 Your request for a fast, free price quote on a 2019 Ford Ranger and 2020 Jeep Gladiator is in process. The CarsDirect Dealer(s) listed below will contact you shortly to discuss your request and to provide a quote. For your reference, your customer transaction number is . Will the VW Tarok concept pickup be sold in the US?